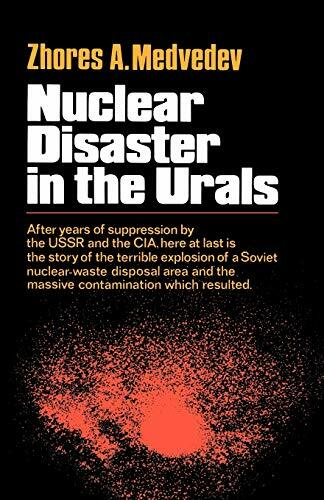 The story of the explosion and contamination was and still is suppressed in the Soviet Union and, the author contends, by the CIA and other Western intelligence organizations fearful of public resistance to nuclear power plants. Now, after an intensive study of Soviet scientific articles (written to disguise the fact that they were about the Ural explosion) and after many interviews and reports from friends in the scientific community as well as from witnesses, the author has pieced together the story of what actually happened. He analyzes the extent and consequences of the contamination and draws forbidding conclusions about the possibility of similar disasters in the rest of the world. Zhores Medvedev (1925-2018) was a Russian agronomist, biologist, historian, and dissident. He was the author of numerous books including Nuclear Disaster in the Urals, Legacy of Chernobyl, and Khrushchev: The Years in Power.